The Supreme Court, the final court of appeal in the UK, issued a rejection notice on November 10, denying the Sovcomflot subsidiary, Novoship, an appeal against its defeat in the Court of Appeal on more than $150 million in claims against former chartering partner, Yury Nikitin, and companies associated with him. A three-judge panel of the court ruled the Sovcomflot group’s “application does not raise an arguable point of law”. The court also penalized Sovcomflot and Novoship by ordering them to pay the legal costs of Nikitin against whom they have been litigating in London for a decade. The text of the Supreme Court ruling can be read here. There has been no official comment from the company. In Sovcomflot’s most recent audited financial report, issued on June 30, the company’s auditors claimed that in the Court of Appeal the company “succeeded in confirming the trial judge’s findings of fact and the defendants’ liability to pay $410,379. That sum, together with interest, totalling $664,091 was received by the Group in August 2014.” Sovcomflot had been claiming more than $150 million (principal and interest) in court, so the award was a minuscule fraction of the claim, and of the success the note reported. A source close to the case says the legal costs incurred in pursuing the money are likely to be far greater than the recovery. Sovcomflot has no public shareholders; it remains an unlisted state corporation, and the state interest is represented on the Sovcomflot board by several agencies, including the Ministry of Transport, Vnesheconombank, Aeroflot, and Transneft. For the record of Sovcomflot’s failed attempts to privatize and sell shares over the past decade, read this. The two independents on the board, who have voted to approve the wording of the latest financial report, are David Moorhouse (rear row, 3rd from left) and Charles Ryan (rear, 4th left). 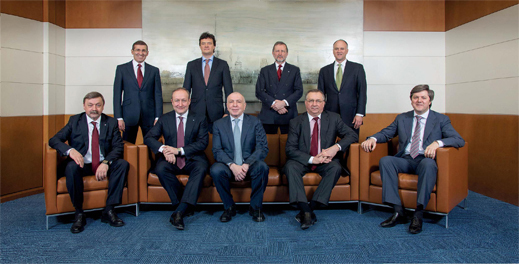 Moorhouse, a British passport holder, is a professional associate of Sovcomflot’s chief executive Sergei Frank (front row, 2nd from left; also lead image). 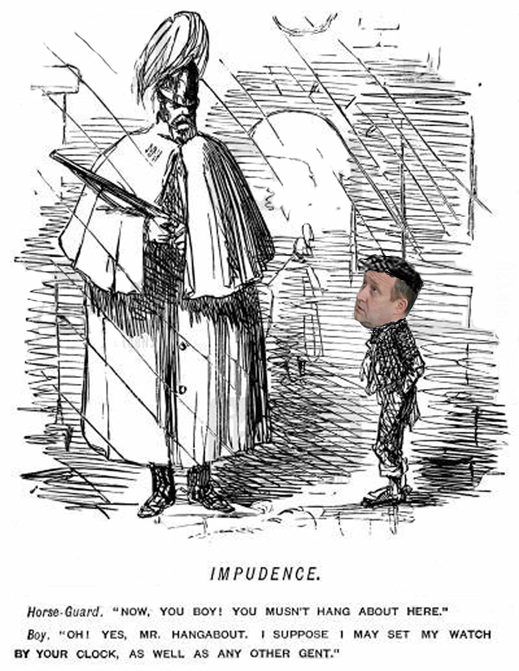 They negotiated with each other in 2006 when Frank was threatening libel litigation in the High Court against Fairplay, a London maritime publication part-owned by Moorhouse’s company at the time, Lloyds Register. Moorhouse reports that “for services to shipping” he received a British medal in 2009, and a Russian one in 2013. He is one of the supervisors of Sovcomflot’s British court litigation as a member of the Sovcomflot board’s audit, remuneration and strategy committees. 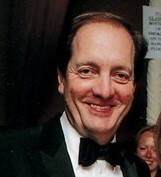 Charles Ryan, a US citizen, has been a veteran investor in Russian state privatizations for a variety of commercial banks. That makes him an insider in the abortive efforts Sovcomflot has made to sell its shares, either by an initial public offering in London and New York, or by the sale to a strategic Russian investor. In warmer days, the frontrunner for that option was Gennady Timchenko. What this means since Monday’s judgement, case lawyers say, is that Sovcomflot now faces a cross-undertaking claim from Nikitin that may exceed the $4 million it has already lodged, plus Nikitin’s lost interest and profits while his $90 million was in court custody; plus the costs of the failed legal proceedings in the Court of Appeal and Supreme Court. The wager Frank persuaded Moorhouse and Ryan to vote for — $4 million to win $108.5 million – has bounced. How much the London litigation is costing Sovcomflot is buried in the “general and administrative expenses” item of the current accounts. This was $51.5 million in the six months to June 30, almost unchanged compared to a year ago. Sovcomflot doesn’t provision for the losses it has been taking in the London courts. Sovcomflot doesn’t report bad news from London. The company does disclose that one of its London managers, Nicholas Fairfax (right), testified recently in a House of Lords hearing on Arctic seafaring; and that the Platts media company of New York has short-listed Sovcomflot for this year’s 2014 Global Energy Awards. Including Sovcomflot, the Platts short-list counts 151 candidates. The awards ceremony is to be held next month at the Waldorf Astoria Hotel in New York.